Could the election of Donald Trump actually wind up being great news for Tesla? Tesla CEO Elon Musk is one of several tech leaders meeting with Trump in New York on Wednesday. And based on how Tesla's stock has done lately, Musk might want to urge Trump to keep talking about his love for coal, oil and other traditional fossil fuels. Tesla investors initially panicked after Trump defeated Hillary Clinton. The stock fell nearly 10% in the first week after the election while the broader market rallied. But the stock has rebounded since then and is now trading a little bit higher than where it was before the election. Rising oil prices could be great news for Tesla (TSLA). If the trend continues, more consumers might be willing to spurn gas-guzzling cars and trucks for electric vehicles like Tesla's Model S, Model X crossover and the upcoming Model 3 -- which will be Tesla's most affordable car at a price of about $35,000. Oil prices have spiked in the past few weeks mainly due to OPEC's agreement to cut production. But having a pro-oil leader in the White House can't hurt either. Trump seemed to hint in an interview this past weekend with Fox News that he could restart the Keystone Pipeline and Dakota Pipeline oil projects that have recently been halted by the Obama administration. In the same interview, Trump said he was keeping an open mind about climate change and refused to acknowledge the impact fossil fuels have had on global warming. And Trump just nominated the biggest of Big Oil execs, ExxonMobil (XOM) CEO Rex Tillerson, to be his Secretary of State. If oil prices continue to climb, and bring gas prices higher as well, that could be good for U.S. energy companies. It could also be good for Tesla. Of course, there is a lot more going on with Tesla beyond what's going on in Washington. Despite the recent rebound, shares are still down nearly 20% this year. Investors are skeptical about Tesla's purchase of SolarCity, the alternative energy company run by two of Musk's cousins. That deal just closed a few weeks ago. Tesla also faces tough competition from other big automakers in the electric car market. GM (GM), for example, has beaten Tesla to the punch by getting its lower priced electric vehicle, the Chevrolet Bolt, to market first. What's more, the Bolt can go for 238 miles before needing a charge, while the Model 3 is expected to need more juice after 215 miles. So there are still many reasons for investors to be worried about Tesla even though higher oil prices could be good for electric car sales. Still, maybe Musk and Trump will hit it off at Wednesday's big meeting. Job creation is expected to be a key area of focus at the powwow. And Trump hasn't exactly been friendly with Ford (F) and GM due to the fact that they make many cars in Mexico. Tesla, meanwhile, has been a big job creator. 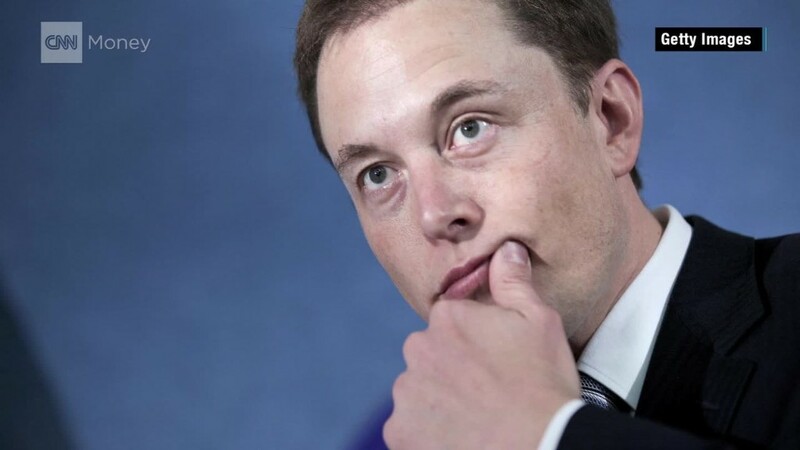 Salesforce (CRM) CEO Marc Benioff, a vocal Trump critic, even tweeted a link to a story in the New York Times last week about how Musk has helped create 35,000 manufacturing jobs in the U.S.
Musk and Trump may seem like strange bedfellows to be sure. Remember the story earlier this year about Musk supposedly being part of a secret meeting with other tech leaders and politicians to try and take down Trump? Musk denied that the meeting was about Trump though. But hey, who would have thought that the Dow would be near 20,000 one month after Trump's win? Nothing seems normal anymore on Wall Street, Silicon Valley or Washington.